The paper consists of 150 multiple choice questions and has 3 sections. Correct answer: (+) 2 marks. Incorrect answer: (-)0.25 marks. The aspiring students preparing for HPCET 2019 are advised to check the HPCET 2019 exam pattern. Exam Mode: The HPCET exam will be conducted in offline mode. OMR Sheets: OMR sheets will be provided to make answers. Pen: The candidates must use either a blue or black pen. Time Duration: The HPCET 2019 exam duration will be 3 hours. Question Type: The questions of HPCET 2019 will be objective multiple-choice questions. Language: The Question Paper of the HPCET 2019 will be in the English language. Marking Scheme: Each correct answer will carry 2 marks and ¼ marks will be deducted for each incorrect answer. last year exam 2017 ..
What is the last year exam pattern for HPCET? 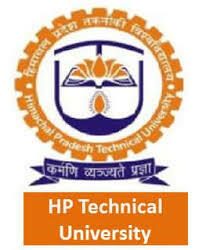 HPCET will be conducted in OFFLINE mode and there will be 100 questions. To know detailed Exam pattern, click here.